House Intel Panel To Hire Money-Laundering Experts - Joe.My.God. The House intelligence committee’s incoming Democratic majority is taking its first steps to follow Donald Trump’s money, The Daily Beast has learned. The committee is looking to hire money-laundering and forensic accounting experts, three sources familiar with the plans confirm to The Daily Beast. One Democratic committee office said the purpose of the potential new hires is to examine unanswered financial questions about Trump and Russia, but their work could apply broadly across the panel’s intelligence oversight. This indicates that likely chairman Adam Schiff’s stated interest in the intersection of financial crimes and intelligence threats isn’t just talk. 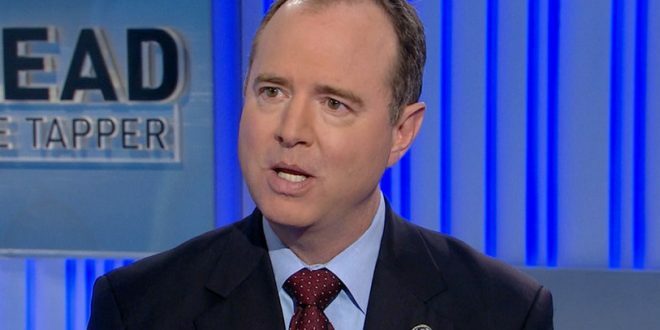 Schiff, a California Democrat, has said publicly and privately that he’s interested in President Donald Trump’s relationship with Deutsche Bank, the German financial giant that has been scorched for its connections to money-laundering. Oh boy. Read the full story.